Lifetime Dental is committed to providing you and your family with safe, gentle, and high-quality dental care. We understand that you or your child may feel anxious about visiting the dentist. We are sensitive to your needs, and it is our goal to make you feel comfortable visiting our practice while providing the best care possible. 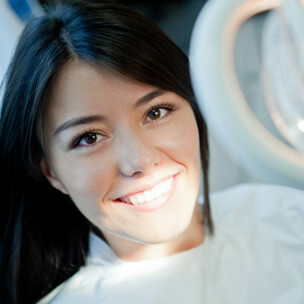 During your first visit, we will review your dental and medical history forms and take X-rays of your teeth and mouth. Then Dr. Gubler or Dr. Gorman will meet with you to discuss your X-rays, inspect your teeth for signs of decay, address any concerns you have about your dental health, help you create your own individual treatment plan, and answer any questions you may have. One of our hygienists will review your periodontal condition and perform specialized treatment according to your needs, including scaling, periodontal treatment and polishing. We understand you have a busy schedule, so when you’re preparing to visit our office, please remember a typical appointment can last between 45 and 90 minutes.